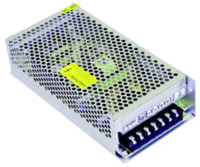 The DCHF150W series of DC/DC power converters offers up to 151.2 Watts of output power in a 7.83” x 3.86” x 1.97” enclosed case. This series consists of 12V, 24V, and 48VDC single output models with 2:1 input voltage ranges of 18-36VDC, 36-72VDC, and 72-144VDC. Some features include ±10% output adjustability, high efficiency up to 86%, and over load and short circuit protection. The DCHF150W series has GB4943, UL60950, and EN60950 safety approvals and meets GB9254, EN55022 Class A, and EN61000 EMC standards. These supplies are also RoHS compliant and have been 100% full load burn-in tested. 2. 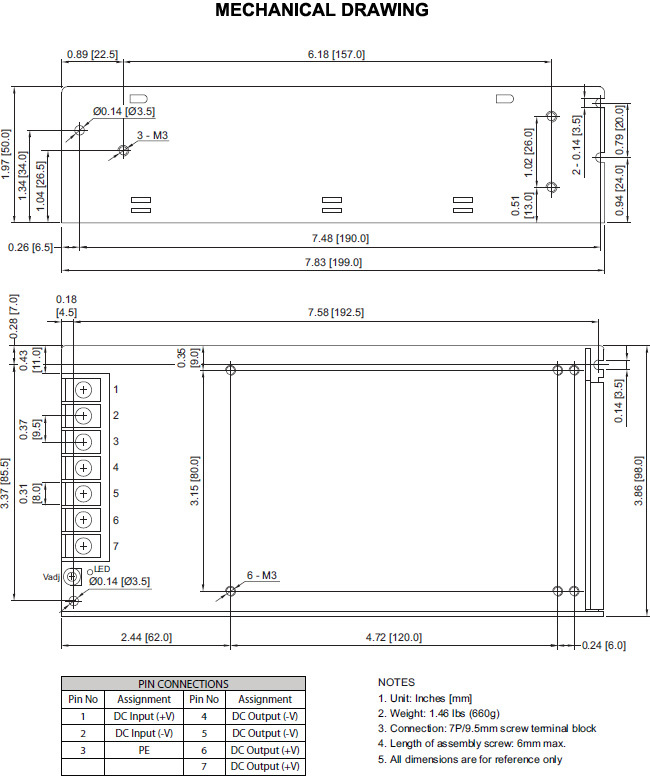 The power supply is considered a component which will be installed into final equipment. The final equipment must be re-confirmed that it still meets EMC directives.